The per vehicle subsidy cost is bound to decrease as more Volts are sold and as current subsidies expire. Nonetheless, as GM acknowledges, the typical Volt purchaser earns $170,000 a year, so it’s hard to avoid the conclusion that the Volt program is a reverse-Robin Hood wealth tranfer from middle-income households to GM, other big corporations, and high-income auto buyers. Hohman’s analysis appears below in full. Martin added that the Mackinac Center’s math was “simple and selective.” However, he offered no data or specifics to support his assertion. The inmates took over the asylum long ago. This is a vehicle ahead of its time (the advent of a super batter) to cure a nonexistent problem (carbon dioxide). 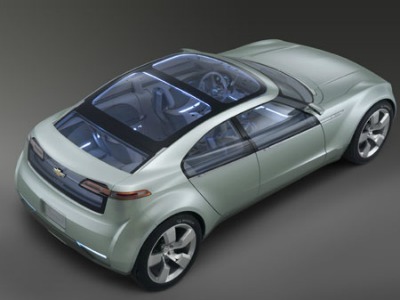 The new Chevy Volt electric car.